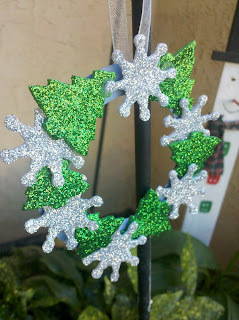 I am guest posting this week over at Dollar Store Crafts. Heather graciously allowed me to share my idea for Christmas ornaments kids can make using dollar store items. It's a simple kid's craft that children can make for less than a dollar each. Head over to Dollar Store Crafts to check it out! Thanks for sharing!! Ooh, I see you used the cute table scatter for a math project... clicking over to check that out!